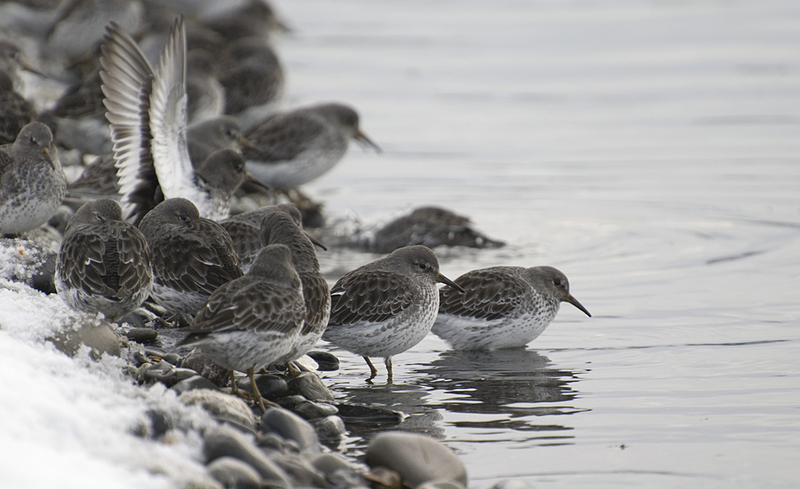 It's winter on Homer Spit in southern Alaska, and Rock Sandpipers feed along the gravelly shore. These small shorebirds scurry this way and that, probing into the gravel and seaweed. Anything that moves is fair game, especially amphipods, the little crustaceans that hop about when exposed. 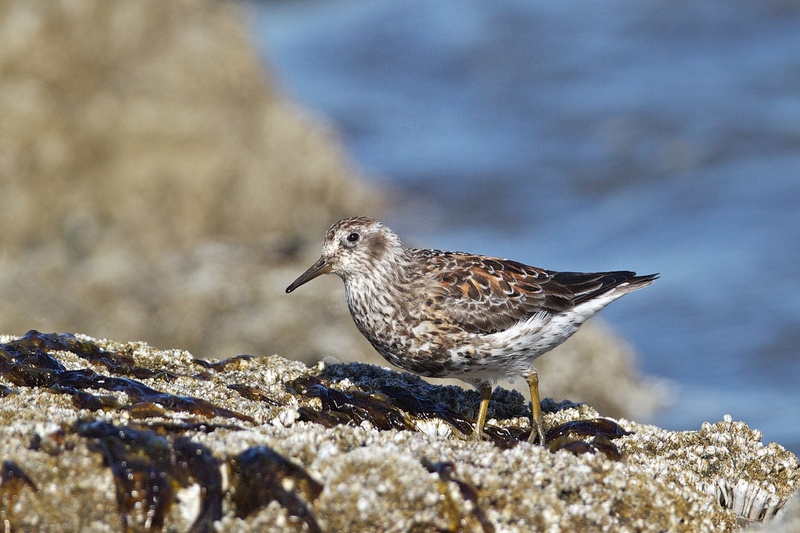 The sandpipers also snap up clams, snails, and barnacles. Gulls, waterfowl, and many other birds forage along the spit, but Rock Sandpipers are the only shorebirds. How do we know which birds winter on Homer Spit? One way is through the annual Christmas Bird Count, or CBC, sponsored by National Audubon. These counts go on all over the country. You don't have to be an expert to join one - just bring your binoculars and your curiosity! How do we know exactly which birds winter on Homer Spit? Well, one way is through the annual Christmas Bird Count sponsored by National Audubon. These counts go on all over the country. You don’t have to be an expert to join one – just bring your binoculars and your curiosity. To find one near you, begin at birdnote.org. Bird sounds provided by The Macaulay Library of Natural Sounds at the Cornell Lab of Ornithology, Ithaca, New York. Rock Sandpiper  recorded by W.W.H. Gunn; Glaucous-winged Gull  by A.A. Allen. Canadians, find a CBC near you!